Demi was something of an unplanned addition here. 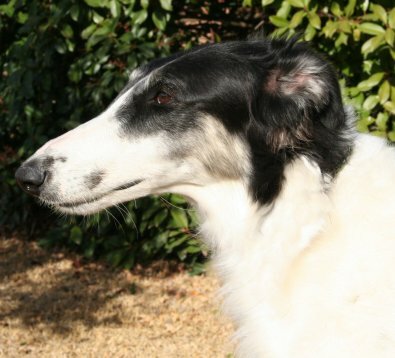 We had volunteered to bring her back to Texas (and to her co-breeder) from the Rocky Mountain Borzoi Club specialty in September. 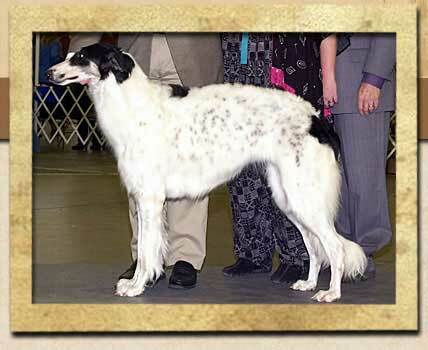 She just never quite made it all the way to her co-breeder's door! Oops! In a very short time, she captured our hearts. Not only is she a lovely and promising young pup, but she is so well behaved and fit in so easily here at the Aeyrie. I've always been a fan of her mother and her mother's litter (which includes Dani, Sonny and Hallie), so the opportunity for her to join us here was too tempting. 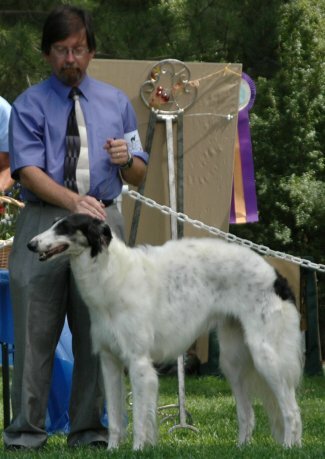 Demi finished her AKC conformation championship in style in March 2006 with a Best of Breed win over several specials (including our Sassi). Unfortunately we have not had much luck in getting her attention focused long enough to chase plastic - but there is some hope for her chasing after the fuzzy LGRA lure. The problem there is the several people needed to get her boxed! !